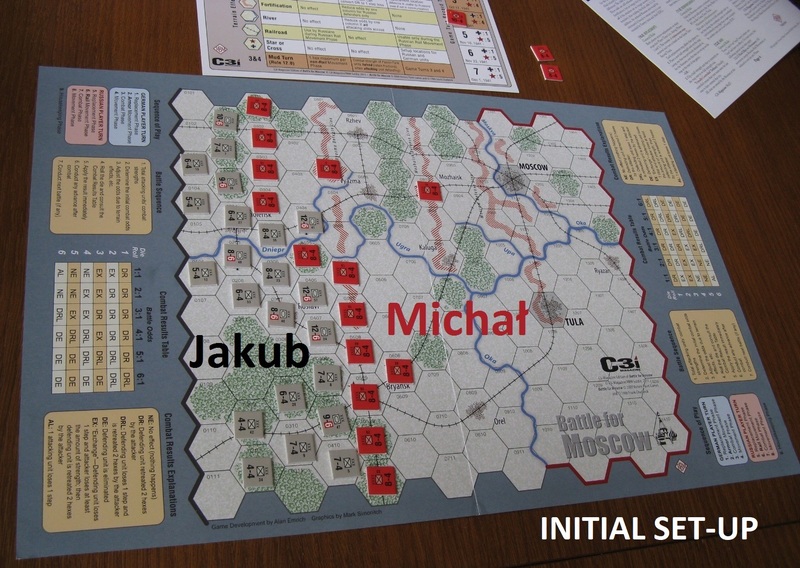 GMT which is known for such boardgame hits like Twilight Struggle, CCA or Paths of Glory. But it also issues its own, yearly magazine – C3i. I really like that periodic, which is full of interesting, historical and games related articles, many new scenarios and needed tokens but also – always – at least one, full mini-game. “Battle for Moscow” is example of such a position. It was initially published in 1986 by Victory Point Games; with one of C3i magazines we have possibility to get second edition – with enhanced graphics, slightly revised rules but in essence – the same game as 30 years ago and still shining! Germans have to capture Moscow to win, USSR has to keep Moscow and at least one more city free of enemy control to win. In all other cases the game ends in draw – easy, simple and straightforward rules for victory. Soviet forces – while not overly well equipped – were flooding the board in such numbers that even German tanks had to succumb to their numbers. Keeping Tula allowed me to achieve victory but that was not most important in that game – it was introduction to wargames and as such I think played its role! Another good posting by m20336. 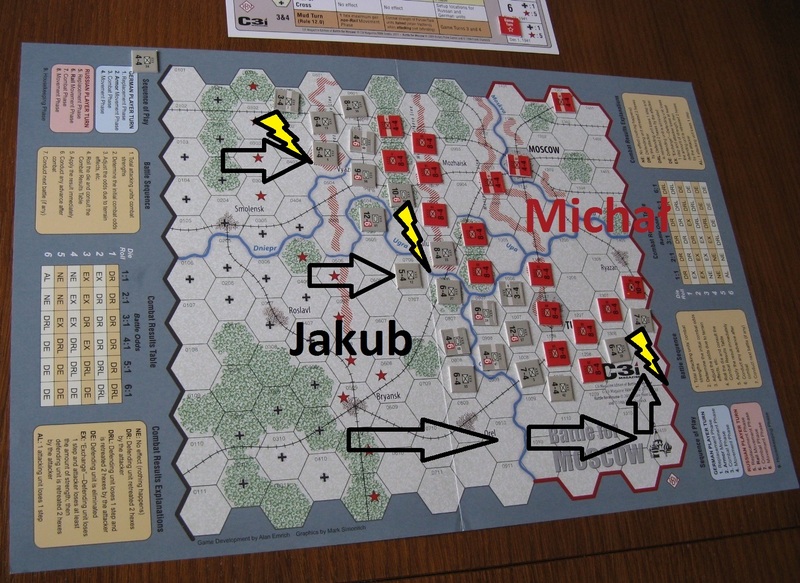 This is a long legged wargame in that the basic system was used for bigger games viz the dubious Great Patriotic War (looks great but plays strange) and now the majestic Thunder in the East…with a LOT of additional rules to model the entire East front. Tiny correction to yr blog is that B for M was published first by GDW not VPG who did the second edition. Thank you very much for kind wordds and correction.